When it comes to innovation, everyone is fanatic over new tech, new science and new processes. It's true that being first will give you a spot in the market, but what is often forgotten is how you remain unique and hold on to your unfair edge. Protecting yourself is immensely important in the highly competitive Chinese market. This workshop is intended to provide you with an overview of the legal and IP environment of China. 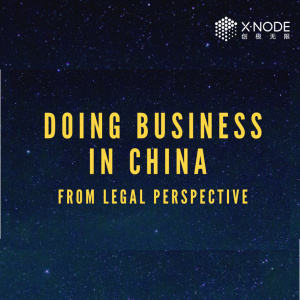 Hearing from Partner of Co-Effort Law Firm sharing insights on current enforcements in China and also practical wisdom tips, you will learn not only how to set up companies, do business in China, but also when is the best time for each. Qing Sibo is a partner and lawyer in the Co-Effort Law Firm in Shanghai. He has a J.D. from Columbia University in the City of New York and a Bachelor of Laws and a Bachelor of Economics from Wuhan University. He majored in company legal consulting, legal services concerning foreign affairs, equity structure design, equity incentive, private equity, merger and acquisition, foreign investment, overseas investment, real estate and business disputes.